I hope all had a wonderful and well rested weekend. Are you ready for the week ahead? Though it’ll be a bit of a long week for me, I am as ready as can be. 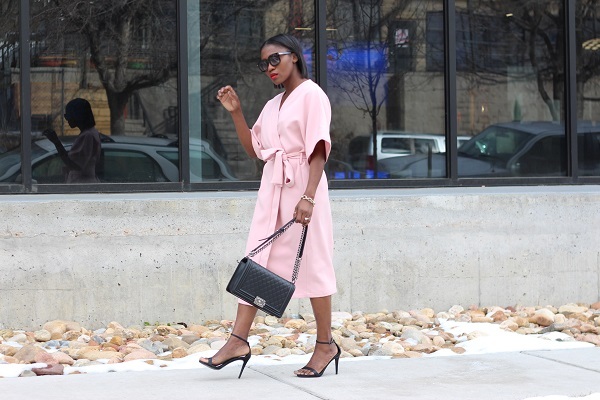 Starting the week off in a pale number; I love lighter hues of pink, and I love this dress. It’s a wrap dress, reminiscent of a kimono style which is also a favourite style of mine. Styled it with black accessories to allow the dress more of a pop in its own right.